A few months ago I introduced my brother-in-law to the Owyhee River in eastern Oregon. We had a summer afternoon to fly fish. I warned him that we might run into a couple of other anglers in my favorite spot. I was wrong. The number was much higher. I counted seven pairs of waders—filled with bodies — in the run I like to fly fish (pictured above). 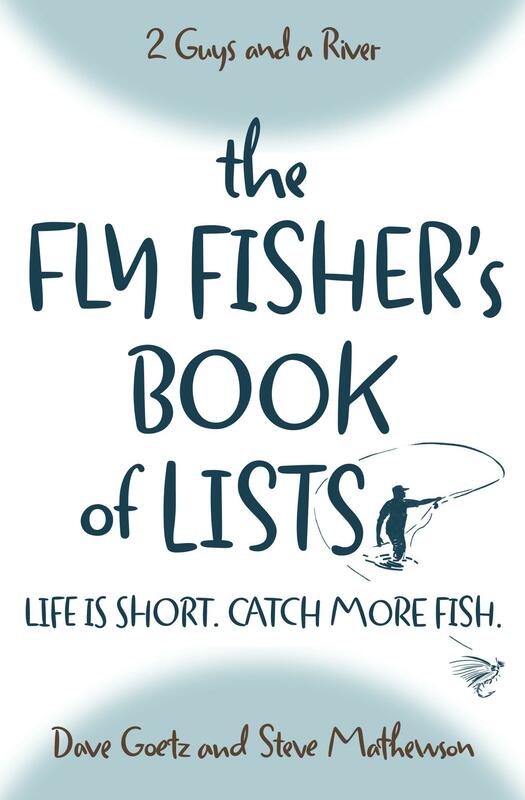 So what is a fly fisher to do? Here are seven tips for fly fishing crowded waters. What ruins a good day are not the fly fishers who beat me to my spot. It’s my response. If I relax, I can usually figure out a solution. In fact, one of the best days I’ve ever had on Montana’s Madison River (I landed 25 browns on the last day of March) was the result of finding every one of my favorite spots on the Gallatin River filled with fly fishers. I’m glad I calmed down enough to formulate Plan B and drive to the Madison. 2. Arrive early (or late). I’m fishing with a friend in a few days on the Missouri River near Helena, Montana. My friend has a favorite spot where he catches large rainbows in the spring. But he gets there at dawn. Last week, he landed seven big trout in an hour and a half of fishing. Then he left as the crowds started rolling in about 9 a.m. The evening can be productive, too. I’ve found great solitude (and fishing!) on the Yellowstone River in Montana’s Paradise Valley in the spring and summer after 5 p.m. Yes, I know that you may only have weekends to fly fish. But if you have any flexibility in your schedule, try Tuesday or Wednesday, and then work on Saturday. Or leave work early if you live near a river. Dave, my podcast partner, and I like to fly from Chicago to Bozeman, Montana, on Sunday night or Monday morning. Then, we fly home on Friday as the weekend frenzy begins. It’s worth our vacation days to fish mid week. 4. Wait for your spot. Don’t crowd the fly fishers in the run you want to fish. That is simply bad fly fishing etiquette. But you can hover (at a distance) in the run below them. You’ll find out soon if they are moving or planning on staying put. The twenty minutes you think you are wasting, waiting for them, might turn out to be a good investment of time. You may be using a different pattern or approach, so don’t assume that the run needs to rest for two hours before you fish it. 5. Look for an opening. Sometime we give up too quickly and assume the river is too crowded when there are spots open. My youngest son, Luke, is working in Madison, Wisconsin, at the moment. He had day off on a Friday, so I suggested he try the Blue River about an hour west of him. I told him to get there early, and he did. But he saw cars parked in both access spots. So he called me and asked where else he could fish. I told him to try to find an open spot on the river (well, it’s really a small spring creek). It turned out that a couple guys were leaving, and there was a long stretch of open stream to fish. He ended up catching several nice brown trout. 6. Walk the extra mile. Dave and I have talked about this before. If you’re willing to walk farther than the other fly fishers on the river, you might get into some fine fishing. I realize this doesn’t work everywhere. You may walk a ways only to come to another fishing access with more fly fishers! I had this happen last year on the Provo River in Utah. But if you keep walking, you may find a golden spot. If you keep encountering crowds on your favorite stretch of river, start exploring some other options. A couple years ago, we noticed more fly fishers on a lesser known stream in southwest Wisconsin. So Dave did some research and found a beautiful creek a couple hours west in southeast Minnesota. We rarely see crowds (as long as we avoid weekends), and it fishes well. It reminded me that there are other fine waters out there waiting to be discovered. I used to spend more time frantically driving from spot to spot, bridge to bridge, up and down the river. Now I just recite the old line about 10% of the fisherman catch 90% of the fish and spend a little time smoking a cigar on the bank and seeing what the other fishermen on the stream are doing, this year I’ve packed small binoculars in my sling pack- just to be sneaky! As I have aged and mellowed a little, after the first few minutes of asking “why are all these people here”, I remind myself that they drove as far as I did (maybe farther), my favorite spot may also be their favorite spot, and they deserve to fish as much as I do. Then I usually relax, and sit and watch for awhile, reflect on the fact that I am getting some time on the stream and enjoy God’s handiwork. Then I go and try to find another favorite spot or make a new one. Great article as usual! On crowded streams I also like to fish places that no one else thinks to fish – places that don’t seem like they would hold a trout for whatever reason (e.g., too shallow, too small, too close to the road). These places often get skipped over by fishermen/women for the more likely looking spots. Have a plan for a plan for a plan. Fish somewhere else. There is this great app that plays the sounds of grizzlies, wolves, and angry moose. I suggest bringing along a bluetooth speaker. I really fell in love with the serenity of fishing back country Idaho and not fighting crowds. The calm and bond with the outdoors is what makes flyfishing for me. I moved back to the midwest and had a buddy dragging me down below Table Rock Lake to fish big browns. A bunch of old retired guys with $10,000 in gear thinking they own the place. Most of them fishing the hatchery streams coming in like children at the kiddy pond. Really bad attitudes. I will opt for non populated spots from now on. Running into more than a couple of guys in a mile stretch is crowded. Just my 2 cents. We’ve experienced both of those situations, too, Bryan–the serenity (awesome!) and the crowd of folks who think they own the river (frustrating!). We know that others have the right to be there, too, but it’s all about generosity and attitude. Like you, though, we fell like a couple guys in a mile stretch is crowded! So we always walk that extra mile (or 2 or 3 or 4!) to get to more secluded spots.